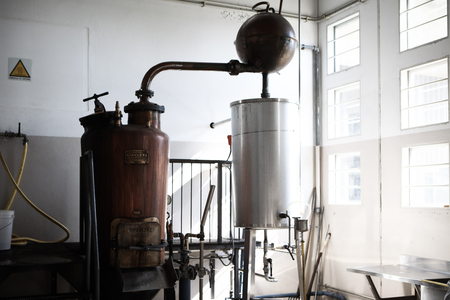 The Tosolini family can claim to have dramatically influenced grappa, transforming what was once a crudely distilled cheap rough spirit. 1. Commissioning and then using his own design of alembic steam stills. 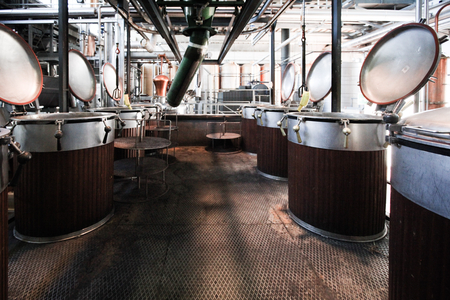 These stills do not burn the vinaccia. 2. Ageing his product in ashwood vats rather than traditional oak casks, so producing clear rather than amber coloured grappa. 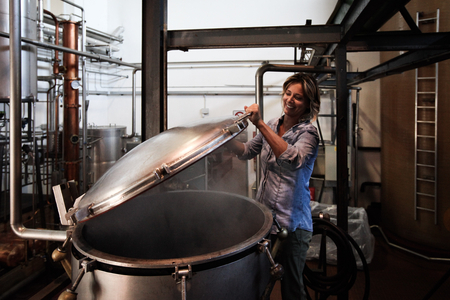 When Giovanni, Bepi’s oldest son, joined the company they also moved to only distilling fresh vinaccia. 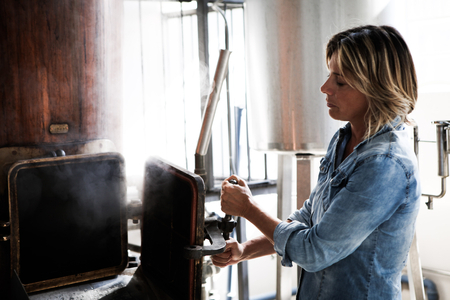 Unlike most other grappa distillers, Tosolini don’t store vinaccia, they distill freshly pressed vinaccia during the harvest. 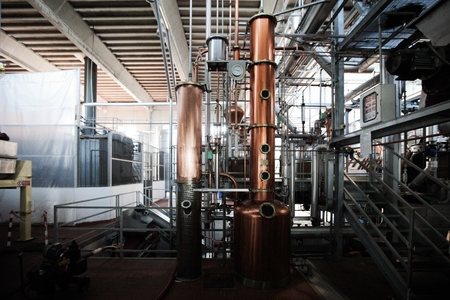 When the harvest is finished, so Tosolini finish their distillation. 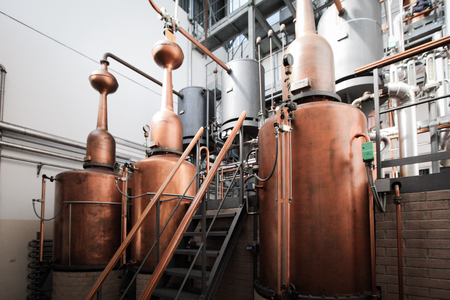 During the harvest, Tosolini operate their eight steam pot stills day and night. 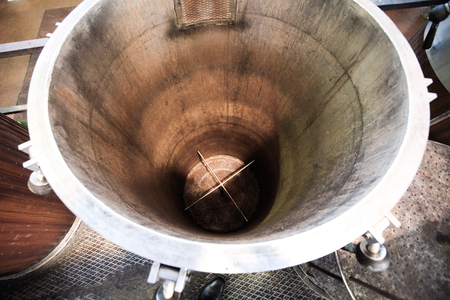 Each still holds 400 kilos of vinaccia packed into steel cages which are lowered into the stills. 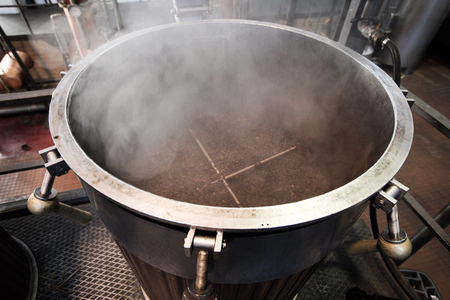 Each cage has three layers of vinaccia with a space between each layer allowing the steam to evenly contact the vinaccia. 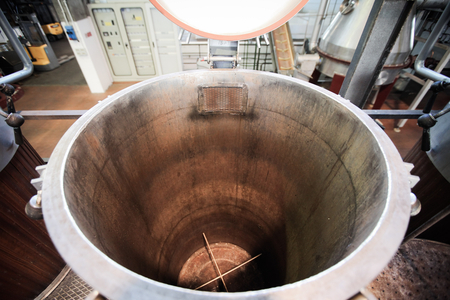 The steam rises from holes in the bottom of the still through the four layers of vinaccia, as it does so extracting alcohol and aromatics which rise up through the still to be directed to the base of a column still. Here the vapour is further heated to pass though the column where the desirable alcoholic compounds are separated from the heads and tails. 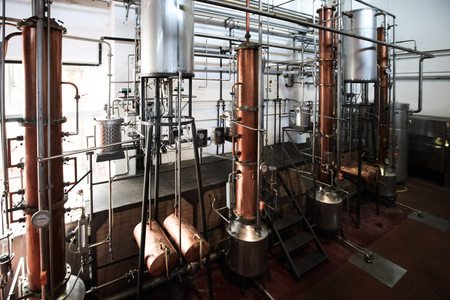 The eight stills work in two sets of four with half the stills being cleaned out from the previous distillation and re-charged with fresh vinaccia, while the other four are operating. 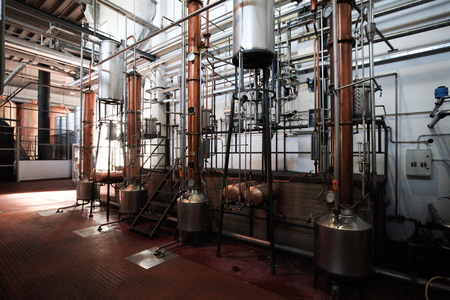 This allows these eight discontinuous pot stills to continuously charge the four columns stills. The columns are packed with short pieces of narrow bore copper tubing (not plates) which mean these relatively short columns act on the vapour as if they are much taller. 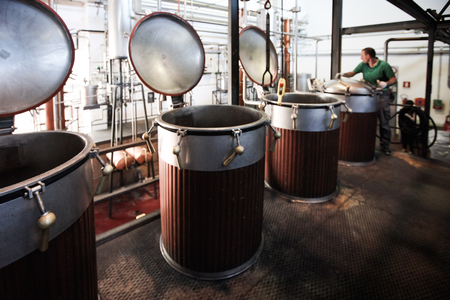 Single variety grappas are distilled in a pair of bain marie stills, heated by boiling water rather than steam. 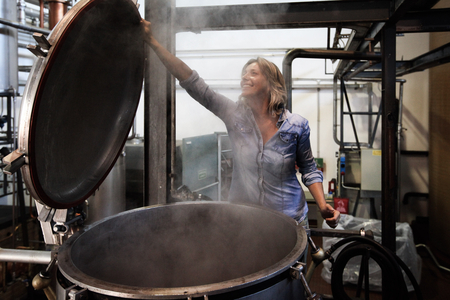 The boiling water sits in a jacket surrounding the still. 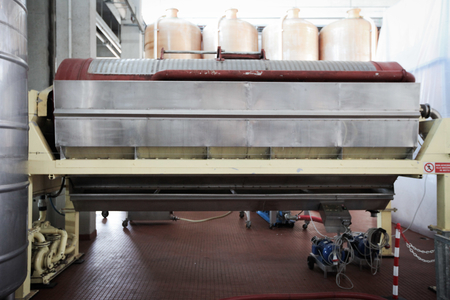 The vinaccia (skins) are placed in the still with some grape must (fermenting grape juice) from the same varietal. 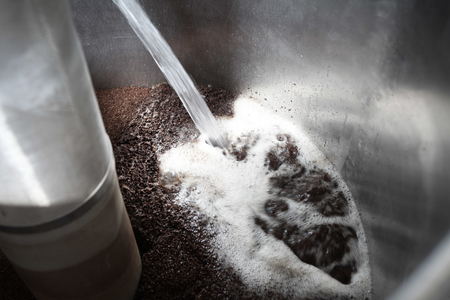 This small amount of must provides the moisture needed for distillation and adds further richness to the finished grappa. 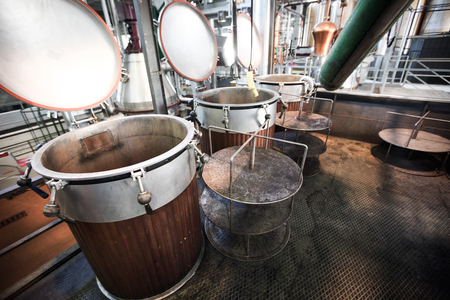 A rummager in each of the two 150 litre capacity stills keeps the vinaccia moving to prevent burning during distillation. 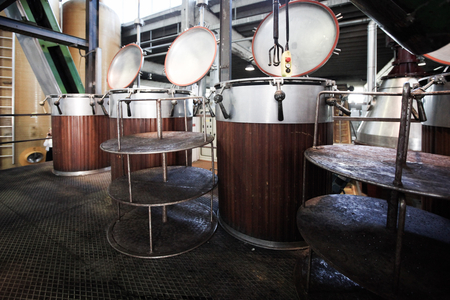 The bain marie stills charge a column still with eight plates where the grappa is rectified. 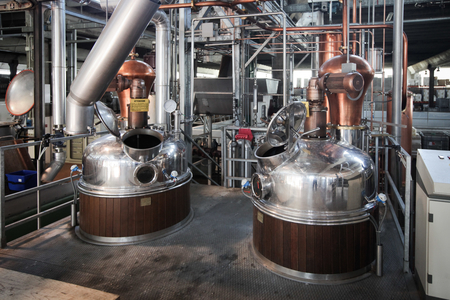 Giovanni and his son Bruno oversee distillation and make the crucial decisions to vary the temperature and speed the stills run at depending on the variety being distilled. The different grape varieties ripen and are harvested at different times, hence they don’t arrive at the distillery all at once. 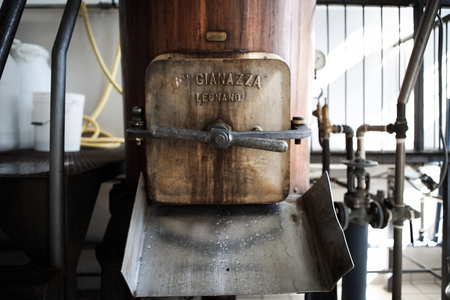 After distillation, the grappa needs to rest for many months prior to blending and bottling. 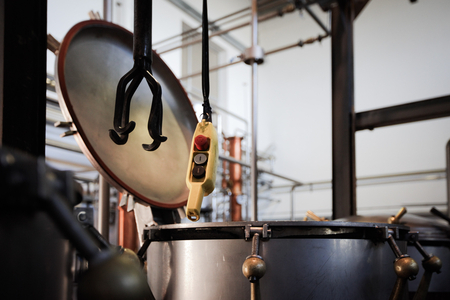 This may be a few months in stainless steel vats for young grappa, to at least 12 months in ash or oak casks for aged grappa, to over 18 months for reserve stravecchia grappa, with a small amount of grappa aged 15 - 20 years. 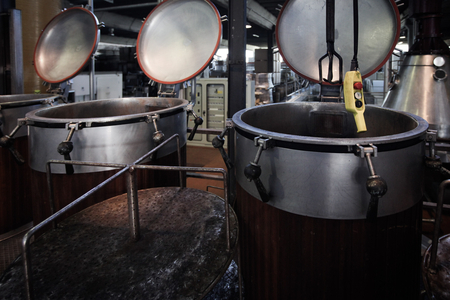 Tosolini also operate three steam heated pot stills. 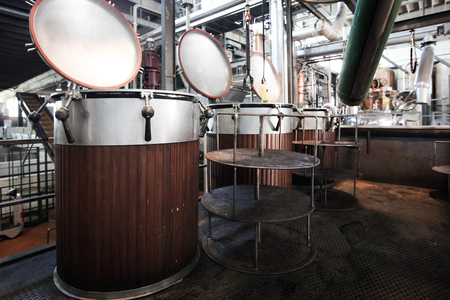 Originally from the 1950s, these stills were formally used to distill brandy but stood unused until the 1980s. Giovanni had the idea to use these to produce a product which Tosolini call “Most”. Basically a grape eau-de-vie, Most is only distilled from grape must (only juice separated from solids). It’s worth emphasising that this grape must is still fermenting with only 3 - 4% alcohol. It is not wine! 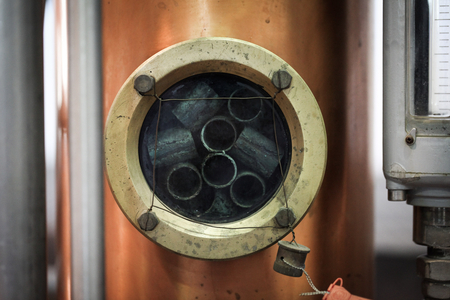 Most is double distilled with spirit from the first distillation around 30% alc./vol. 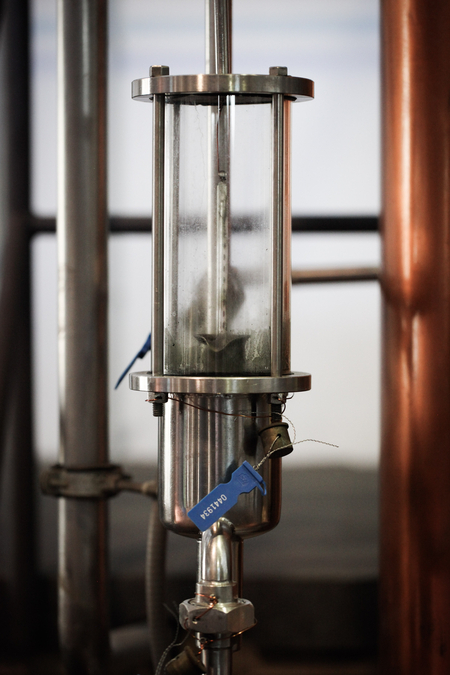 and the result of the second distillation being 70 – 73% alc./vol.. Most is rested, blended and reduced to bottling strength with purified water. 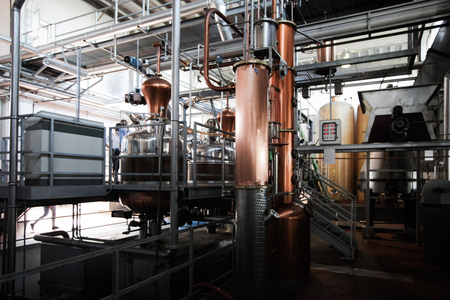 All the water used at Tosolini comes the distillery’s own 250 meter well which draws on a natural spring fed by water from the Alps. Importantly, Tosolini are equipped as a winery with their own bladder press. 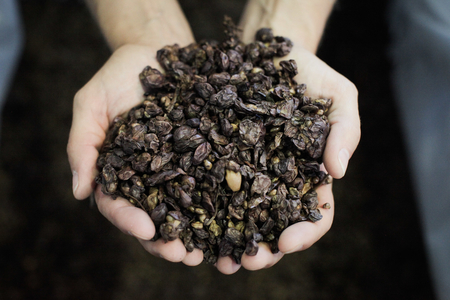 Grapes come into the distillery from both their own and other vineyards to make Most, and also to produce the grape must used in the distillation of their single variety grappas. 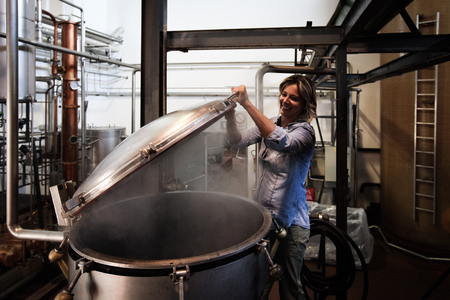 Besides grappa and Most, Tosolini produce a wide range of amaro and liqueurs. These are made with extracts produced in small batches by infusing and distilling herbs, spices and fruits. 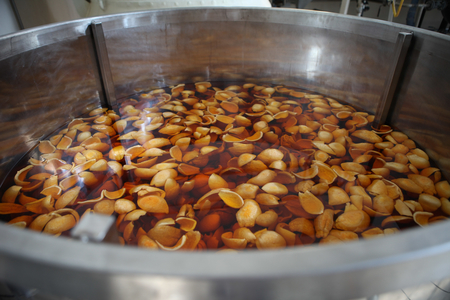 For example, hand-peeled fresh bitter oranges are one of the 15 botanicals used in Tosolini’s amaro. The fresh skins are macerated in beet neutral alcohol for one week. 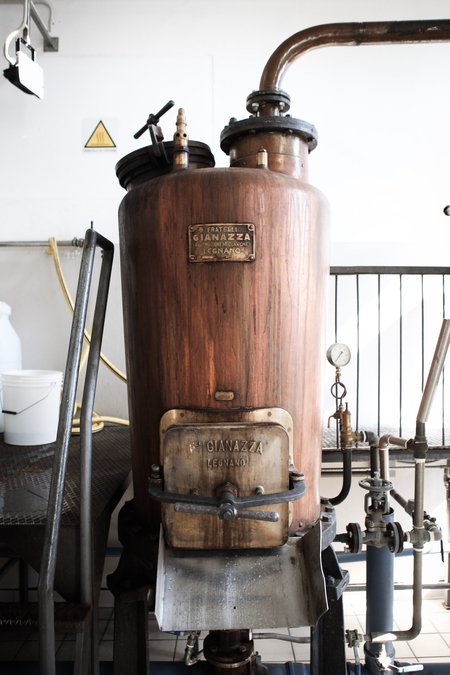 The peels are then separated from the infusion and steam distilled in a dedicated 100 litre botanical still which dates from 1955 to extract further aromas. 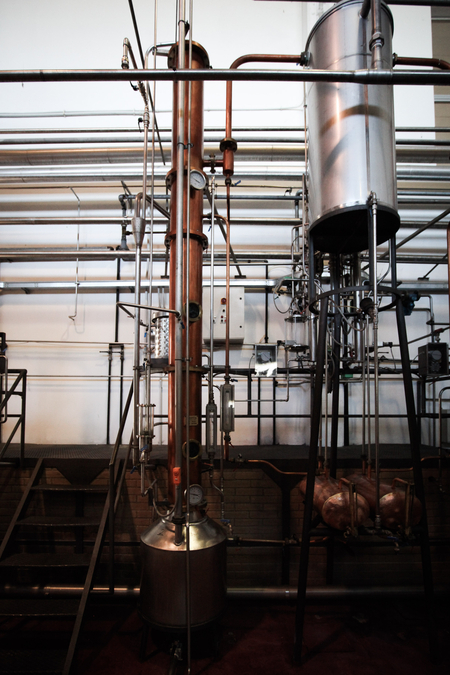 The distillate and maceration are then blended together. No colouring is used in any Bepi Tosolini product with colouring being entirely natural and resulting from infusion. 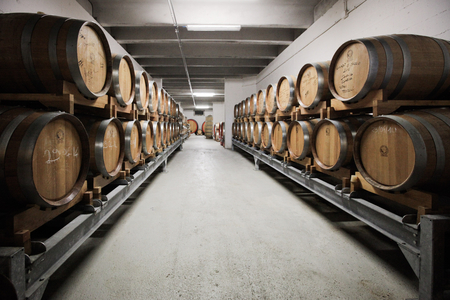 Across the various grappas, single varietal grappas, Most and their liqueurs, Bepi Tosolini produce around 50 different products. 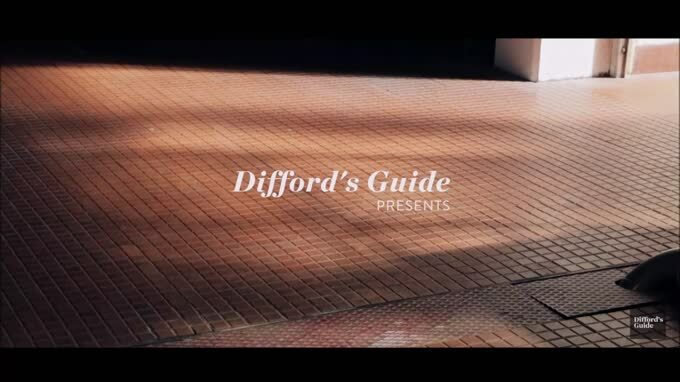 The family are constantly working on new ideas, experimenting and testing. There are bound to be more products added to the range, but whatever they make it will be all natural and produced by infusion and distillation of botanicals. Flavoured with an infusion of peels from Amalfi yellow summer lemons and green winter lemons from southern Italy. This single varietal grappa from Bepi Tosolini is made with the pomace from Pinot Grigio grapes from Collio and Colli Orientali del Friuli Venezia Giulia. A single varietal grappa from Bepi Tosolini, distilled exclusively from the pomace of merlot grapes. 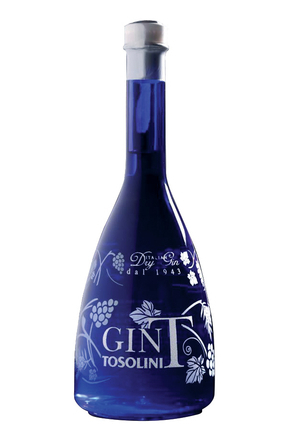 Tosolini Sambuca is flavoured with an infusion and distillation of aniseed.